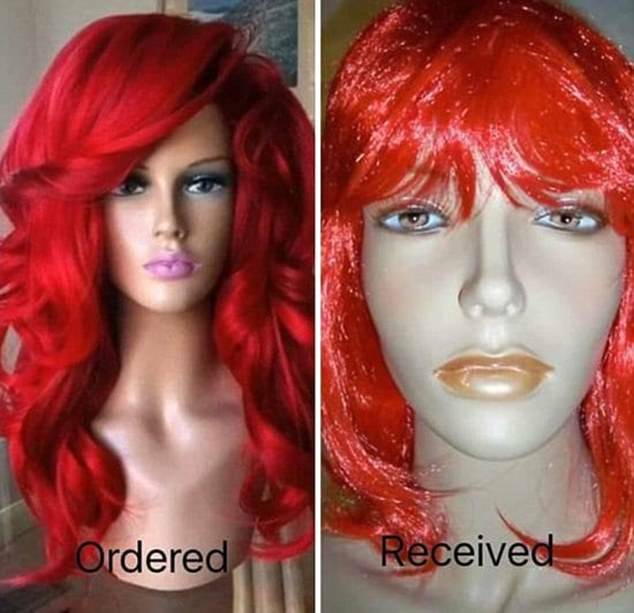 The trials of shopping online. 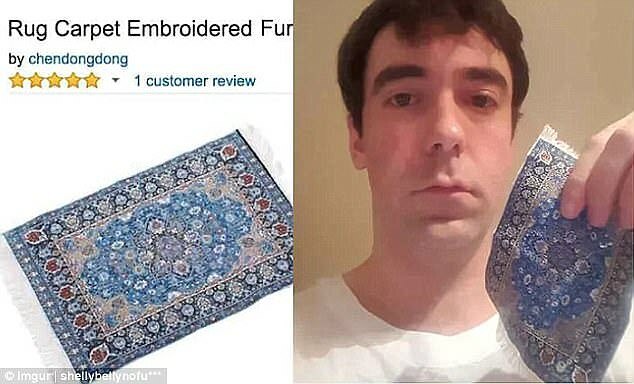 "Shopping for new clothes and electronics online is often simpler, quicker and cheaper but as these hilarious photos attest, it can sometimes backfire. 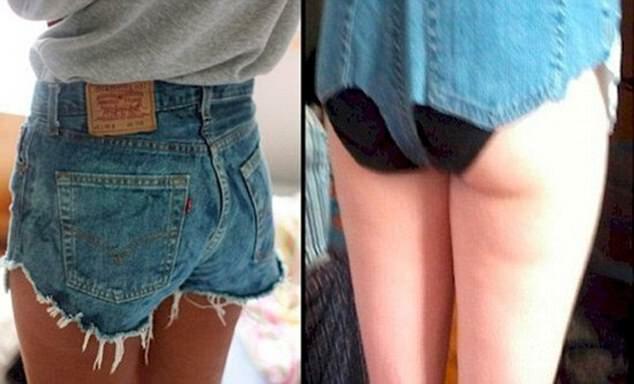 Disgruntled, baffled and highly amused shoppers have taken to social media to share the results of online shopping fails - and they'll have you in stitches. From trainers made out of cardboard and iPads made from paper - to items that look absolutely nothing like the online snap - less than satisfied customers who saw the funny side have been sharing snaps of their comical deliveries for the world to enjoy"
Re: The trials of shopping online. Last week I ordered a small sized bottle of a perfume I used to love that is really hard to get hold of now....the original scent changed formula and smells differently, this was supposed to be the original....it smelled absolutely nothing like it. I have been promised a full refund. The only other time I have ever been 'done' online...Grandson was going to some fancy dress do dressed as a vampire slayer character. I saw some scruffy leather boots on ebay which would fit the look and were his size....they were about £15 inc p&p so I sent for them. When they came they were so old they were brittle....bits fell off them as he was trying them on, they were unwearable. It would have cost more £££ to wrap them up and send them back, so I put it down to experience. Mostly I've been really lucky. I like buying clothes online as my taste in clothes often doesn't extend to high street shops, I have a bit of an eclectic style when it comes to most things. Sizes have never been a problem either for me, though I do find that some things arrive bigger than the size stated. eddie wrote: Mostly I've been really lucky. I like buying clothes online as my taste in clothes often doesn't extend to high street shops, I have a bit of an eclectic style when it comes to most things. I actually love going into shops and trying things on, what I will do is search online for something I want, then if I can I will travel to where its sold...I like getting out and about rather than sitting behind a computer ordering everything the easy way. The last dress I ordered online was massive....had I read the reviews first I would have ordered 2 sizes down, they did change it free p&p though. I've only had a couple probs with dresses and got a refund. I love Amazon, especially their kindle books. I joined Prime for their free month, then told them I don't want it after. It's great, free kindle books, next day delivery, and some films etc. magica wrote: I've only had a couple probs with dresses and got a refund. Amazon are brilliant for books, i dont have a kindle, i love paper books, the smell of them, and turning the pages...i just love books. Mags, do you have a chain of book shops near you called 'The Works'? They are brilliant for paper backs....3 for £5....many are pretty new releases. Yes we do Syl, I buy lots there. Like you I love a proper book the feeling and the smell also. I only have the tablet ones if I can't get them elsewhere or they're cheaper on kindle/tablet. I think you should go and buy mine! I love my Kindle. At first I was a bit....I need to feel a paper book, but once you get used to them they're great. I read mine every night, and it means I can read in the dark while hubby is asleep without disturbing him. My problem is, I make something up in my head like a pattern or a style of something I fancy and then I try to find it. I do that, but I can never find it. It's usually something quite ordinary actually, but I still can't find it. I tend to do that too....but sometimes the simplest looks you are aiming for just isn't in the shops. I have trawled round today looking for a casual top, plain colour, (I even took the skirt I want to match it up with) with just a bit of detail to make it individual....came back empty handed, so rifled through my wardrobes and found exactly what I have been looking for under my nose. I'm not a great one for historical romances...I like a bit of murder and suspense.